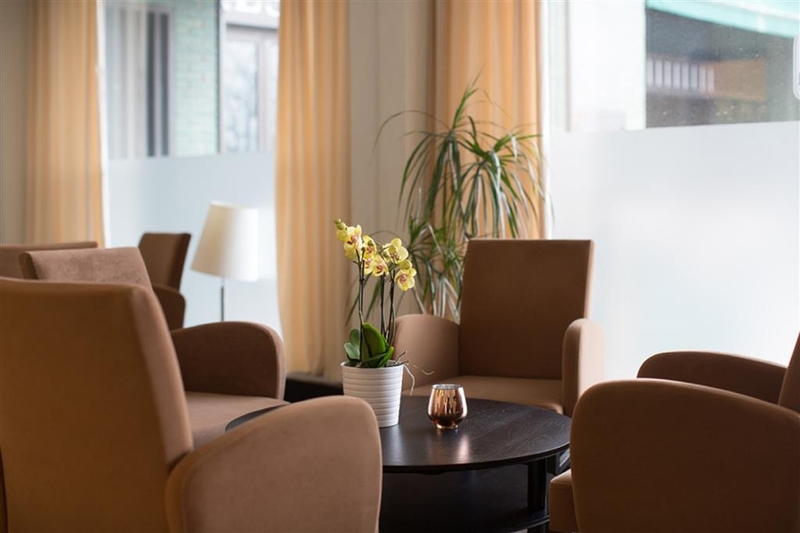 The Best Western Capital Hotel is ideally located in the center of Stockholm. Come and experience our hotel near the major tourist attractions. Best price guaranteed and exclusive deals. 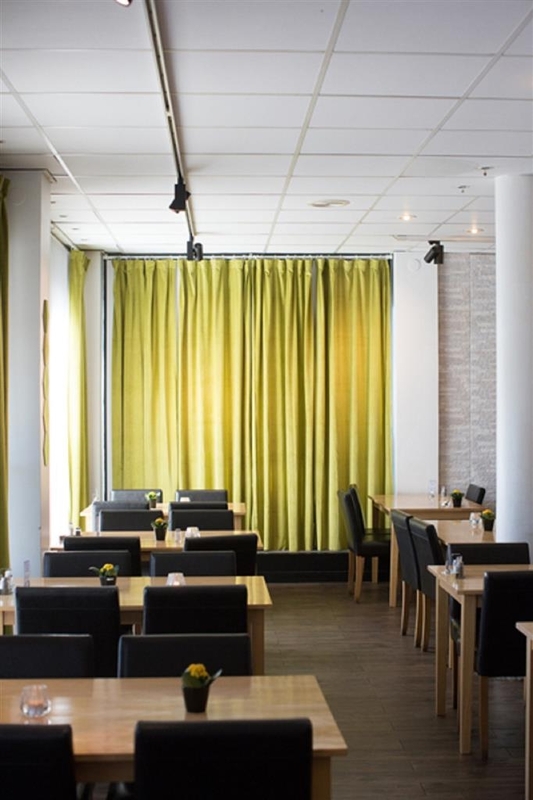 Best Western Capital Hotel is a 3 star hotel and is well situated during your Stockholm visit. 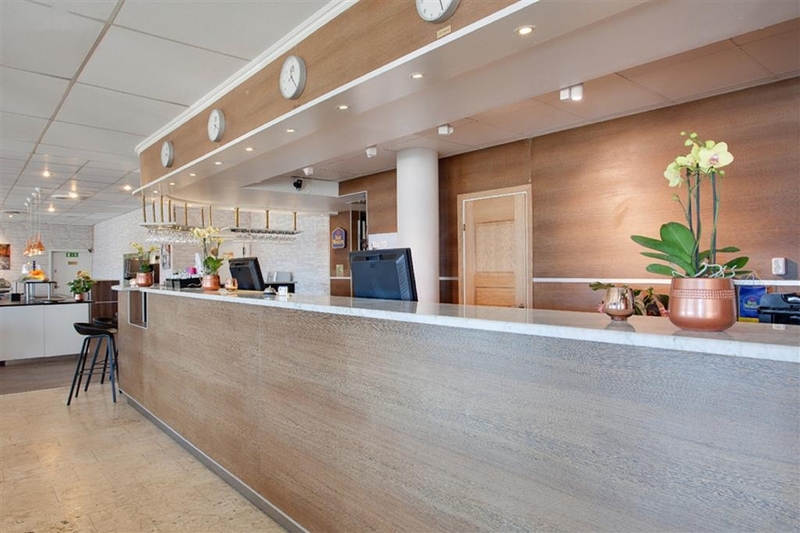 This friendly family owned hotel is conveniently located near Stockholm International Fairs, Stockholm Globe Arena and Stockholm City. Our 114 newly renovated standard rooms include wireless Internet. The Hotels own restaurant 'Food & Potato' and Amani Bar provide guests with the opportunity to relax after a hard day’s conferencing or sightseeing. We also have a rooftop sauna where you can relax and enjoy the wonderful views over parts of Stockholm. Just a short walk away you will find a range of amenities including a bowling hall, indoor and outdoor driving range, 6 hole golf course, racket hall that includes tennis, badminton, squash facilities and even go-cart track. The Best Western Capital Hotel also has a conference room for up to 60 delegates and offer complimentary private parking facilities. Apart from this, we offer professional and personal attention and care. Welcome! Enjoy your stay. Nice people, nice breakfast, small but adequate nordic furnished room. Way too far, in my opinion from the tourist areas of the city: a ten minute tram ride and 7 minute walk past the end of the metro subway! Our agent got it as part of a Delta airlines deal and looking on a map, it's difficult to assess how far it is from the city until you get there. As previous reviews noted: no AC, but this is common in scandinavian hotels. No matter how low I turned down the heat, it was too hot to sleep (in April weather of 40 F). The window opened, but since it's in an industrial area, there is truck noise all night long. While the bed was comfy enough, the room was not air-conditioned so the only way to cool it down was to leave the window open. The room backed onto a road which was used from the early hours by goods lorries so very noisy. The breakfast was average and the staff were not very helpful, but the worst thing is the location as you have to walk for 15 minutes to either a T-bahn station or to a tram stop, the former over a very rough path. With only a Burger King next door where you can eat, you have to go into the city or walk some way to get a decent meal. Don't let the name fool you as this is not in the city centre but about 6 km out. The hotel is located in a industrial area with many trucking and logitics companies around. It is not expensive compared to other hotels. Walking to train station takes about 15 min. Staff are friendly and helpful. "Good for drivers, but others..."
Technically this hotel is somewhat oldfashioned. Our room was totally hot and even if it was October we need to open the window for the night. Some small things showed that clean-up has made sloppy. If you travel by car this hote locate quite nice place, but otherwise connections are little bit tricky. Hotel locates outside the Stockholm city center in the industrial area. Breakfast was ok, but nothing more. Staff was very friendly. Pricing was reasonable. Technically this is three star hotel, but our experience was more two than three points. This is the first and last time in this hotel. It is very basic and the restaurant has a choice of 2 dishes. There are multiple signs around the hotel saying things like “for safety this is cash free hotel” and “leave you bags in your room as pick pockets in this area “ I would not go back. This hotell is situated in an sort of industrial area outside the city. But can be reached quite quickly via commuter train only two stops, and a ten minute walk. So about twenty minutes from the Stockholm central. Rooms are of ok standard that is usual in this segment. The room was clean and beds quit ok in comfort. Ours had a bath, and also a water boiler, that added value for us. 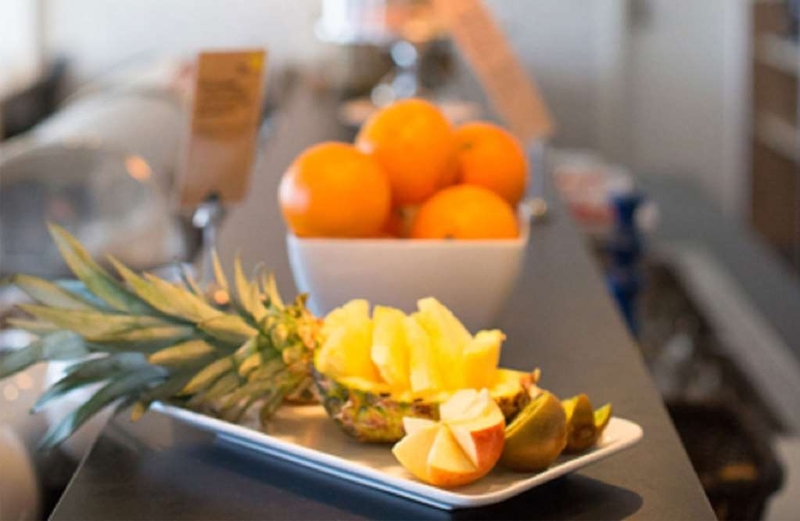 Brekfast is served from early morning to 10 AM, and provides the basic level of hotel morning buffet. The breakfast room is of limited size, however there is another area providing more seats. Quite crowded in the morning, and the limited staffing is sruggeling to keep up. Menaing clearing tables and providing for the buffet, etc. Price level is reasonable. So quite OK value for money. Easy access by train and car. Checking in and out was swift and easy, friendly staff. As I have stated in earlier reviews; Dont expect luxury if you pay a budget price. You get what you pay for. Priority: hotel is close tor the center, only two stops by commuter train. Breakfast was very varied, very good & generous, and staff was very polite and helpful! Thank you so much! I can recommand for everybody to short visit in Stockholm! In evenings we used sauna, it was great! "Middle of nowhere with indifferent staff"
We picked this because it seemed central but it was in an industrial area and the two nights we were there the restaurant was not open nor was the sauna/hot tub which was part of the reason we chose it. Staff had very indifferent attitude - would not return. "Good price and breakfast buffet"
Considering the high prices of hotels, this one was less expensive than many others. It was very quiet; had comfortable beds; included a great breakfast buffet; had free parking; and was close to a tram stop. It was enjoyable for us to leave our car at the hotel and take a combination of Tram-Metro to travel to Gamla Stan. Walk through a tunnel that goes under the busy road near the hotel. Follow the path to the Årstafältet tram stop. Buy your tickets from a machine at the tram stop. Those tickets cover the tram and the metro line to which you will transfer. Make sure the tram is going in the direction of Alvik/Solna. Get off the tram at Liljeholmen, and walk into the Metro station. Take train #13 or #14 to Gamla Stan (both go there). "Budget hotel worth the money"
Stayed in this hotel for 2 nights. I was surprised how good the hotel looks, taking into consideration the price I paid and the mixed reviews I found online. The room was really big compared to similar type of rooms in Stockholm. The room included all of the necessary things (extra pillows, blankets, tv and even a kettle etc.) The breakfast was okay as well, maybe only the selection was a bit small and also the room didn't fit a lot of people. Overall a real good place to stay! Tip regarding public transportation: Instead of walking straight to the metro (Pendeltåg) station from the hotel, walk to a light rail (Tvärbanan) stop and drive one stop and then take the Pendeltåg, there's a paved walkway to the Tvärbanan stop, which is better when you have suitcases. "basic hotel and basic facilities"
This is a basic hotel despite the 3 star rating. I didn't expect nothing else. Breakfast is functional and they do provide non-dairy and gluten-free options. The sauna has a notice saying theirs a risk of the sauna short circuiting which filled me with fear. Who wants to be wet near anything that short circuits? The gym consists of one treadmill, an exercise bike and some weights. There is a jacuzzi but that was out of action while I was staying there so I'm unable to comment. While I agree that the staff a friendly. You have to have a degree of personal trust in staff at hotels. After all, customers have to put our trust in the hotel and staff keeping us safe while staying there, right? Well, I was left feeling violated when I found out that belongings had been rifled through and personal belongings stolen while I was out for the day. While most of us can tolerate staying in a basic hotel for a couple of nights, theft is totally intolerable and inexcusable. The nonchalant reaction from staff when reporting the theft and trying to put me off calling the police is equally intolerable no matter the star rating of the hotel. I'd suggest staying somewhere else. This hotel is nice, clean with friendly and helpful staff. The rooms are small but nice. The beds could have been more comfortable plus the double bed is just two single beds put together so it won't keep together :-). But the stay is nice; good location, close to the bus stop. "Beautiful clean hotel with very friendly staff"
I would 100% stay here again. 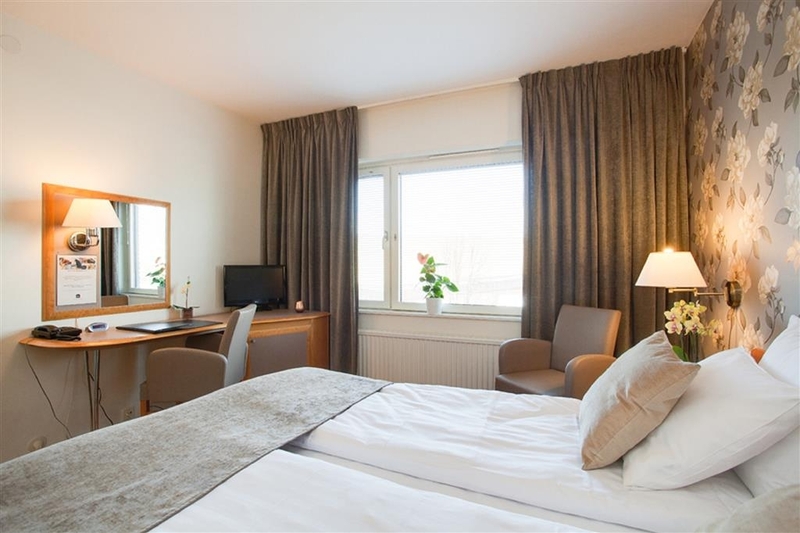 It's in a really nice spot just about 5-10 minute walk from the Train/Bus/Tram station at "Årstaberg" The room itself was great, very clean, nice bathroom, tv, spare pillows and towels. It was honestly all one needed. The staff in the Best Western Capital are really kind, helpful and great all-round. Wi-Fi is free and excellent. Breakfast was decent and having a free Tea/Coffee machine 24/7 in the lobby is a life saver after a cold day in Stockholm. For the price of this hotel and for what it is, I would recommend it. Does everything it says and more! Tack och hej! 1. Close to the bus, train and tram stations. 2. Not close to the city centre, but easy to travel to and fro 3. Room and bathroom were decently sized, clean and service is prompt 4. Beds aren't the best - a little too flimsy/unsteady for me 5. Good breakfast spread, food available early if you want a quick start. I'd stay there again. "Average, but not that bad"
I spent 2 nights in this hotel for attending a conference in the exhibition center (Stockholmsmässan). This is the perfect location (3 minutes driving and not traffic jam!). The rooms are a bit old but comfortable. The breakfast is included and full of different things. The only issue with this hotel is the parking. Very difficult to find a place when coming back after a long day. Burger King nearby is a plus for those who like that (nearby means attached to the hotel). Cheap basic level hotel near train, tram and bus connections to downtown. Good breakfast. Surrounding area is old industry and warehouse based. Not the best option for families but excellent for budget business travelling. Good value for your money. "3• for a 3* hotel"
30 mins from city centre, 15 minute easy pleasant walk and 15 minute train for 2 stops. Nice entrance and dining area, although small. Rooms dated, but clean. Sauna available, but shame the jacuzzi is broken as the 5th floor could be a real retreat. Handy burger king and petrol station shop right next door. The hotel is located in an industrial zone, not far from the railway station. The hotel is not new, but clean. Good furniture. I did not like the lack of a shower cabin in the bath. At the restaurant is an excellent cook, prepares wonderful. "Could have been worse. " The room was clean and fine, would have been great to have an iron or fridge though. Breakfast was ok considering it was included in the price. The gym consists of 2 items of equipment, there's a small sauna and the jacuzzi was broken during our stay. There isn't enough parking outside the hotel, and the staff weren't particularly helpful at suggesting alternative options. The area is depressing, as are the views, but there isn't much getting away from that. If you're staying here and wanting to travel around wait until the tram service is back up and running. I'm a human to take everything with humor (especially by booking such a cheap hotel) but this is just no! The hotel says about his location "close to the Metro". YES YES it's "close" to the metro, you just have to cross the bridge above the f. highway, and then follow the road of a trucks parking, where the ground is covered with garbage and used condoms! The breakfast is so bad, we preferred to go to the 10 steps away Burger King. The bathroom is just NO! Dirty and you feel like the 1M. guest to visit. I would never book this, NEVER. For no reason I would go back here. I was around 10 times in Stockholm so I can promise you there are tons of much better and same priced hotels. My summary of the hotel: NO! NO! and NO! "Bad...this is an hostel if we want be fairy..."
"Average but everything you need." We stayed at the best western in September time. The room was clean and well decorated. The hotel itself is nothing fancy but it is nice and has everything you need for a short city break. Breakfast was ok and location despite not being very central was easy enough to get too and from. Good hotel for price. "good hotel when on work"
Stayed here one night. The whole hotel needs a big re-vamp. Our room was shabby. Annoying bathroom where the shower/toilet/basin are crammed into a cupboard so everything gets wet. The toilet was not fixed properly to the floor so whilst it didn't leak, it 'moved' any time you touched it. To reach over to turn off the bed side lamps, you have to get out of bed. So they're not really 'bed side' are they? Bed was small, uncomfortable (and 'itchy'!). Carpet grubby. Breakfast ok but we didn't hang around too long as we were keen to escape after just one night. Would have complained to the management but were suffering from sleep deprivation and itchiness. The only reason we haven't marked this down to 1 out of 5, instead of 2 out of 5, is that the roof didn't leak on our overnight stay. Very good, clean and cozy. The breakfast was awesome also! Dunno what else to write, definitely would advise to provide with small toothpaste packaging for traveler which are out of country if they don't have it with themselves due to airport security measures. "value hotel out of the center"
The hotel is a little far from the old town of Stockholm, you can reach it from T-Centralen using the commuter train (2 stops) and then walking 10 minutes or taking a bus (1 stop) or using the Metro (4 stops) and then a tram (2 stops). Not many choices were to eat in the area out from the hotel apart from Burger King and a gas station. We found a good pub that also serves food in Liljeholmen. The room are mid size and quite standard, the same as the bathroom. The breakfast is good, the room itself is quite small so it can be possible not to find a free table if you do not arrive early. I have not used the gym or the sauna unfortuntely. All in all considering how expensive is Stockholm if you find a room for 55/60 EUR per night as i did i think is a good value choice. At higher rates i think it would be better to choose something closer to the center. Hotel in Outskirts of Stockholm. Reaching the hotel is bit difficult. Apart from Burgur King and the hotel restaurant no places to eat. More of industrila area, but calm and quiet . Rooms are neat and clean, fairly good breakfast. Small room for three person, portable bed was really bed. Room was not as described - Triple standard by Wizzair. Breakfast was really fine. Sauna was also a plus for the hotel. Stayed here 4nights. No shampoo, only conditioner. "Excellent hotel - good quality services"
The hotel is located away from the city, there is no problem to get to the train station in 5 minutes walk. from there to Stockholm city center you take 10 minutes. At Arlanda airport you can take a direct bus (train). Breakfast at the hotel was mixed, I have an intolerance to lactose and gluten and I could choose a lot of food. Hotel service excellent. "Good price for good quality"
The hotel was located outside stockholm, so that you need take the commutertrain to the city (10 min). The breakfast was very extensive and good, but the bacon could be more crispy? ?.they also consider special wishes e.g. Lactose intolerance, which was really comfortable. The sauna is very relaxing, too bad that the whirlpool was out of order since several years. They offer free parking. Additionally the room was very clean, included the bathroom, also the housekeeping was quite fast. Last but not least the reception were very helpful even with special wishes. We needed a place to stay at short notice and the Capital came up in our price range. It offers free parking and is close to public transport options if you want to go to the centre (or anywhere else). The room and bathroom were fresh and comfortable. Good shower, nice bed and plenty of space. There is central heating but not air con in rooms. Outside the hotel had background noise probably due to road noise from motorway and industrial area so we needed to sleep with the window closed. Wifi worked well. Breakfast was better than average. All this at a bargain price (for Scandinavia). I'm not sure I'd want to stay here for a long stretch but it's more than fine for a few nights. Thanks. "High quality service - I really recommend"
Very high quality service. Everyday cleaning, silence in room. Clean and comfortable bathroom. Very tasty breakfast and lots of to choose. Moreover, you can always go to the buffet and drink tea, coffee, chocolate or even take something sweet for free - it's a big advantage. Near to public transport (buses, trams and commuter train). Just 2 stops to Stockholm Central by commuter train. Next to the hotel, there are Burger King, a petrol station and small shops. "Flight cancelled - needed somewhere in a hurry"
My flight was cancelled amongst air traffic chaos and all airport hotels were fully booked. I was reliefved to find a hotel that had space for teh night. Having said that the location was pretty miserable for a Best estern with views of a garage and busy roads. Not somewhere I would choose given more time. Staff were friendly, but did not give very good or clear advice for finding a nearbt cash machine or the bus stop and public transport connections to the City Centre. The staff was very helpful and nice and we got perfect service and the room was excellent with a great view. Close to highway, without any noice from traffic. We were served a very nice buffe in the morning and had all what we can ask for. We tronly recommend this hotel. The hotel is easy to get to from tram, bus or train. Make sure you follow the signs along the bicycle and foot paths. The hotel is not in the most glamourous section of the city ( industrial). THere is a lot of 18 wheeler traffic in the area with loading and parking. One is not far from the Globe and Tele2 arenas. Hotel itself had good service and a basic buffet breakfast. I think the hours were for short and early ( 6:30 AM to 9.30 AM weekdays and 7 to 10 AM on weekends). The room is compact and a little worn out. THe bathroom is a bit better. The room has a tiny closet and chest of drawers under the TV that was confused at first as being the place to have the refridgerator! Check in and out were seamless. One can hear doors closing, though. A Burger King and a sit down restaurant are in the same complex. Across the street is a 24 hour gasoline and bistro station. In a sort of industrial area. Very convenient if going to the exhibition centre, only ten minutes by taxi maximum. It is a quite hotel with a good selection for breakfast. I like the quality of the cereals. The restaurant has a small daily menu for evening dinners. My wife and I stayed here for a weekend. The hotel was far from the city centre, but connections to buses and trains was good. However, considering the extra travel costs I would rather have chosen a hotel in the city centre. Room was clean and nice. Breakfast was good. If the area fits you, I can recommend the hotel. The hotel is located far from the city center, you need to take the train or tram and then metro. The rooms and holes are not so clean, breakfast is simple. The staff is very friendly tough. The accommodation is too expensive to the offered conditions. Clean, basic hotel. Comfortable bed. Ok breakfast. Extremely helpfull staff, they gave me a good instruction how to get to the city center and back using public transport. They also sold me transport tickets. Gym is just a treadmill, exercise bike and a couple of weights in jacuzzi/sauna lobby. Handy location when visiting Stockholmsmessän by car. "Pretty bad and no working internet"
Good: friendly staff, comfortable bed, clean. Bad: 2 evenings internet did not work, very nasty smell in the bathroom, worn, rather bad location, very limited international TV offer (BBC news). Bottom line, never again! No right cleanning, terrible restaurant, far from restaurante, metro and or other option Temperature inside the hotel os too cold, so I feel like being on 1970 . This is a car hotel for low cost customers. We found it at very affordable price through otel.com. All I can tell is that we enjoyed it a lot. Rooms was nice, no noise at all, we could sleep tight. Room was clean, they changed towels every day. There is also a TV in the room, which is nice. We were also very happy with breakfast - there are many things and they are delicious. There are two downsides that we were not super happy: - we asked for a double bed, but since they were fully booked they gave us two single beds - it takes 30ish minutes overall to get to the city center. About 10mins walk to train station, and then two stops with the train. Not so bad, trains go often, but just one thing to be aware of. When I come next time to Stockholm, I would come to this hotel again. Good value for the money. Maybe not the largest breakfast but all that really you need. Good coffee! Just a short walk to the train and your in then center of Stockholm in 15-20 minutes. Very easy to acess from highway. Hotel situated in industrial site. Noise of trucks over the night. No restaurant, just bar at the reception. Fast food "Bigmac" next to the door. Breakfast area crowded in the morning so you can awake as early as possible. Train stop to the central station - 20 minutes by foot. Good Wi-fi connection. Would stay again if have no choise. My husband and I spend a week here. Great hotel. Clean and nice. Good breakfast every morning. Friendly staffs. Location is further out of the city but getting to the nearest train is just a walk across a park and the ride into the city is picturesque. Burger King is just right outside the front entrance and there is a gas station store across the road which provided basic amenities and groceries if you need them. Get rooms on the higher floor which face the front. Back room looks out into a road which is just an arm's length away. Pretty dangerous if you leave your window open as people can get in. Oh, the beds are so comfortable. Stay here if you don't mind the commute into the city and a quieter outskirt environment. All in all, we had a great stay!